I wrote the short, informal paper below as a contribution to the 'Fanfiction and the Pre-Modern World Colloquium', 13 July 2018, University of Oxford, UK. I had intended to deliver this piece with bells and whistles (or, OK, many gifs) in Oxford myself, but unfortunately I couldn't attend in person. I am sincerely grateful to Julie Dresvina, one of the event organisers, for proposing a solution: allowing my 'remote presence' in the day's discussions by circulating my written paper to attendees on the day itself. If you want a flavour of the programme - and believe me, you definitely want a flavour - check out the live-tweeting corralled under #premodfanfic18 and the Colloquium Twitter account @premodfanfic. This one-day event is just the start of a bigger project of establishing an interdisciplinary network in the field, and I look forward to our continuing discussions! In honour of the Colloquium, Amsterdam University Press has released a 20% discount code for my book, Medieval Saints and Modern Screens, valid till 27 July 2018. My third Chapter works with star and fan studies in-depth, hence the tie-in! To take advantage of the discount, use code "MedievalSaintsModernScreens" (without the "s) and order directly from the Press here. In the last five or six years I have written a relatively small amount of fanfiction (mostly for obscure book canons) and read a ridiculous quantity of it. I really like the way the very best of it takes the structure you’re familiar with (setting, character, plot, or all three) and brings out extraordinary depth that the original canon didn’t or couldn’t make visible (sometimes because the original creator wasn’t that good, more often because the focus just happened to be elsewhere). […] Otherwise, not sure if it’s a fandom or a special-topic or what, but I am somewhat obsessed with diaries from Britain in/around World War II. I have, what, sixteen or seventeen different people’s diaries? (in book form, not the originals), many though not all from Mass-Observation [Archive of historical documents], and for some reason I find them intensely interesting and fulfilling to read. In the last five or six years I have written a relatively small amount of secondary criticism (mostly for obscure medieval books and canons) and read a ridiculous quantity of it. I really like the way the very best literary analyses take the structure you’re familiar with (setting, character, plot, or all three) and brings out extraordinary depth that the primary text didn’t or couldn’t make visible (sometimes because the original creator wasn’t that good, more often because the focus just happened to be elsewhere). […] Otherwise, not sure if it fits with my ‘research agenda’ or if it’s my new specialist topic or whatever, but I am somewhat obsessed with diaries from Britain in/around World War II. I have, what, sixteen or seventeen different people’s diaries? (in book form, not the originals), many though not all from Mass-Observation [Archive of historical documents], and for some reason I find them intensely interesting and fulfilling to read. What do fans and academics have in common? Rather a lot, it turns out. Fans feel a pull to the object of their devotion, re-situating their identity in relation to a favourite media text. They analyse the minutiae of the fan object, engaging often in its creative re-contextualization, probing its meaning to tease out new readings, to splay open possibilities implicit in the original work. This is especially the case with ‘formal’ fan fiction, stories and/or media utilising an already established universe or cast of characters. But the conversations, the imaginings, the online arguments fans have about and within their fandom are all also interrogatory, revelatory forms of critique. Formal publications, and collaborative informal discussions developing knowledge – check, check. Critical commentary on an original canon as a body of work in its own right - the ‘fanon’ or ‘secondary literature’, pick your poison. Fans as scholars, OK maybe. Yet scholars as fans? That contention tends to be all too provocative. Why? What is at stake when we, as scholars, embrace the label of ‘fan’, albeit in the mode of the specialist ‘aca-fan’? 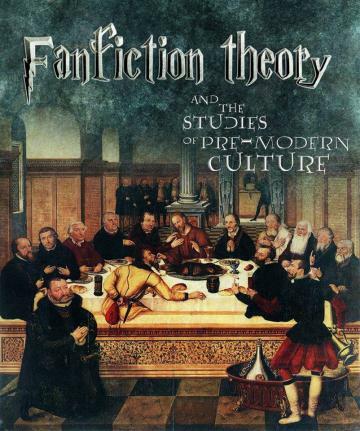 I began to use fan studies in my research in 2011 or thereabouts. I’ve presented my work in this area in fora big and small, formal and informal, home and abroad since then. Broadly speaking, my research (or one strand of it a least) entails analysing medieval hagiography as a kind of celebrity-manufacturing machine, allowing us to consider afresh the complex power dynamics which govern the construction of sanctity – hagiographer/saint, saint/God, fan/celebrity. Crucially, for this paper, I draw on the work of Henry Jenkins, a pioneer of fan-studies, to argue that academic scholarship can be understood as a kind of fan practice, with scholars as ‘aca-fans’. Frankly, I didn’t expect the kind of responses I received, and continue to receive to this day. Allow me to hedge, just a little: I don’t intend to flatten the categories of ‘scholar’ and ‘fan’ (not to mention ‘saint’ and ‘celebrity’), superimposing one ‘neatly’ on the other. Of course, there are differences between these categories and these differences are intensified ever more if we consider context, on micro- and macro-levels. But what keeps gnawing at me is the kind of pushback I get when talking about scholars as fans on a meta-level, and in deploying theories from fan studies to analyse (medieval) texts. I think this pushback – and the specific pitch of its articulation – reveals two particularly corrosive threads in the academy, whether explicitly acknowledged or internally absorbed: intellectual gatekeeping and classism. The only way out is through, as it were – or one way out is through. We can (begin to? further?) combat such discriminatory modes by consciously leaning into this pushback, by continuing to claim spaces for fan studies in the academy, and allowing for the academic identity to also encompass the fan experience. Generally speaking, the pushback to my work as a medievalist in/on fan studies can be grouped into two camps. As a mental shorthand, I call the first ‘the academy doth protest too much’. This is outright rejection of the validity of fan studies as a theoretical paradigm and especially of the relationship between academics and/as fans. Responses of this type emphasises the integral exceptionality of academics, with our intellectual work held up as a shining light of cultural production. The public, those outside the academy, cannot be trusted to do this work perhaps, or are just not suited to it, not trained and credentialed enough. Academics have the keys to the castle – or rather, the ivory tower – and this segregation from ‘real life’ is an essential component of academic life, and academics’ own identities. Fan output – media posted on Tumblrs and online forums, role-playing at Cons, epic fanfic spawning epic fanfic on A03 and similar – is just ‘low’ culture, not worthy of particular intellectual investment or serious analysis. What’s more, it is downright insulting to medievalists (or early-modernists, or Classicists, etc etc) to connect the weighty objects of their attention – ‘real’, ‘really’ culturally important stuff – with such throwaway ‘pop’ culture. This leads me to the second kind of pushback I tend to encounter: the ‘yes but’ school of thought. If the first kind of pushback I get makes me frustrated (and angry), then ‘yes but’ responses make me sad. For example: ‘Hmmm, that’s a persuasive reading of [medieval text] and throws up some new insights, but…’. And: ‘You know, that makes me think of [speaker’s ‘illicit’ pop-cultural text of choice] and how incorporating [nuanced, insightful analyses of said pop-cultural text] would really change our understanding of the [medieval text], but…’. ‘Yes but’ is about internalised gatekeeping, in essence. It stems, at least in part, about concerns over the intellectual validity of the topics at hand, and by extension the intellectual validity of the scholar themselves, if they ‘out’ themselves as enjoying low-brow fare on the regular. Time and time again, scholars have told me about the joy they feel in consuming pop-culture, and the geeky joy they derive from seeing the connections between their scholarly texts and the media they consume for pleasure. Ah, pleasure, what a loaded term here. There remains a notion that taking pleasure in our work – in our analyses, in our source texts themselves, in making ‘illicit’ connections – is verboten. There are worries about being ‘too close’ to the media we consume outside of the walled academic garden, losing our analytical objectivity. After all, fans are those obsessive weirdos who sleep, eat, breathe their favourite texts. They seek out ever closer encounters with the text, they can’t be trusted to be objective, not like us academics. But here’s the rub: academic ‘objectivity’ is a fallacy. Scholars re-shape their objects of study in the very act of studying, our analyses are always partial, we select the version which makes most sense to us, given the available evidence and heuristic frameworks. Casting the academic as a fan lifts the veil of illusion, and that can be far too postmodern for some to stomach. With that veil removed, we see that the scholar, consciously or unconsciously, has designs upon their sources. We can justify our research agenda, explaining our lines of argument with appropriately dry verbiage – but that internal pull, that thing that makes us work long hours, obsessively pore over texts, animatedly debate texts, approaches, analyses with colleagues? That remains unspeakable, for some at least. Intellectual gatekeeping and deep-rooted classism, that’s the rather depressing sum of it. In this light, embracing the label of ‘fan’ as a scholar becomes a political act, a conscious decision to reject ‘ivory-tower’ thinking. It is a means to build bridges with our wider communities, alongside a means to legitimize our own lived realities in and as our work. It is a means to show why what we do matters – critical thinking which enacts a bond between our sources and ourselves, and by extension others engaged in similar praxes, the legion ‘non-academics’ in fan communities. It values the work of those whom the academy most often marginalizes. What I’m arguing for, at heart, is a practice of ‘yes and’: recognise the connections between media texts, allow the thrill of pleasure to shoot through us, engage ‘seriously’ with media from and praxes in ‘non-academic’ communities. And use these moments of delicious familiarity and respectful dialogue to add context, to nuance points, to push ever further in our analyses and knowledge production. ‘Yes and’ we say, in a fannish chorus. 'Metatalktail Hour: Fandom!'. Thread started 30 June 2018. MetaTalk [MetaFilter subsite]. <https://metatalk.metafilter.com/24837/Metatalktail-Hour-Fandom>. I discuss the notion of academics as fans in detail in: Spencer-Hall, Medieval Saints and Modern Screens: Divine Visions as Cinematic Experience. Amsterdam: Amsterdam University Press, 2018, pp. 190-92. The rest of the Chapter (pp. 147-89) analyses hagiography as a means of celebrification, offering a case study of the ‘successful’ production of Marie of Oignies (d. 1213) as a spiritual star along the lines of the Classic Hollywood celebrity factory. I contrast Marie with Margery Kempe (d. after 1438), made in the model of a reality-TV star as one of Marie’s biggest stars, a wannabe-saint in perpetuity who authors fan fiction (her Book) to rework consciously narratives to better suit her aims. In parallel, I consider the production of female stardom in the twenty-first century in terms of medieval hagiography, with specific reference to Jessica Simpson and Kim Kardashian West. See also discussions of the ‘perfectly obedient’ celebrity, i.e. a hologram which performs on demand and/or a saint who responds to intercessory petitions immediately in: Spencer-Hall, ‘Post-Mortem Projections: Medieval Mystical Resurrection and the Return of Tupac Shakur.’ MDCCCXXVI Opticon1826 13 (2012): 56-71 <http://ojs.lib.ucl.ac.uk/index.php/up/article/view/1327/xEMOzGirlzxr71>. Sidenote: it feels significant to point out here that a considerable amount of fan works is produced by marginalized and/or underserved media consumers. If representations are not present in the source text itself (which reflects dominant culture), it is reworked until the fan’s own identity and/or cultural priorities come into view. In this context, refusal to engage with fans as critical textual producers means refusing to engage with those who are typically under-represented in ‘mainstream’ media-textual production, and perpetuating the erasure of marginalized voices from cultural work.